Wrangler’s Creek’s most eligible bad boy has just become its most eligible single dadDylan Granger could always count on his rebellious-cowboy charm to get his way–until the day his wife, Jordan, left him and joined the military. The realization that during a wild night he got her cousin pregnant is shocking enough. 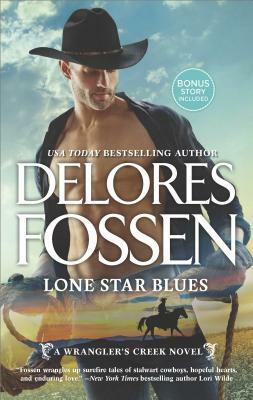 But the news that Jordan has come home to Texas to help raise the baby is the last thing he expects.Raising a baby with Dylan in Wrangler’s Creek is a life Jordan might’ve had years ago, but she doesn’t want regrets. She wants what’s best for the child–and to find out if there’s something deeper between her and her ex than blazing-hot chemistry. Getting closer means letting down her guard to Dylan again, but will he be able to accept the emotional scars on her heart? Occult specialist and witch hunter Dr. Shane Grey is called upon to investigate a string of crimes that bear all the hallmarks of black magic. But he can’t take on this daunting assignment for the Execution Underground alone. He’ll need the help of Vera Sanders, a witch with a dark past—and a woman who disturbs him as much as she intrigues him. Vera is determined to ignore the dangerous chemistry between herself and Shane so she can prove her loyalty to his cause; otherwise she risks the wrath of the Execution Underground once again. If she can’t make Shane trust her, they won’t stand a chance in hell of defeating the evil that’s terrorizing their city. No easy task, considering old habits die hard…and Vera may be the very person responsible for luring Shane into a killer’s trap.